Horatius Bonar is a brilliant commentator on Scripture! 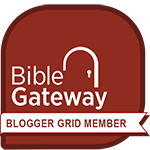 His insights are on full display in Light And Truth—The Old Testament. But I do have one complaint about this book: it’s too short! Bonar has four volumes of commentary on the New Testament (the Gospels, Acts and the Larger Epistles, the Lesser Epistles, and Revelation), but sadly only one volume for all of the Old Testament. Bonar’s style is not an exhaustive verse-by-verse—or even chapter-by-chapter—commentary on Scripture, but more of a theme-by-theme. Having read the four New Testament volumes first, I knew what to expect when I picked up this book on the Old Testament. Although at times he may remain silent on large swaths of Scripture, when he does spot something that moves his pen to action, it is brilliant insight. It bears repeating something I noted in a previous review of Bonar’s commentaries: “The Bible is inspired by the Holy Spirit, so He is the best source of illumination when reading Scripture. 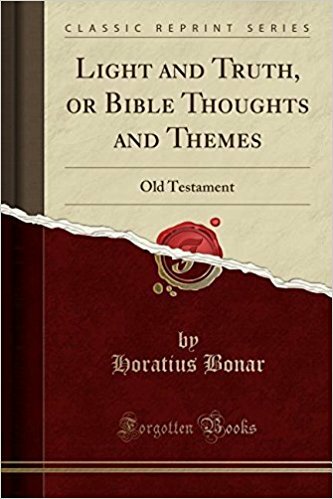 But Horatius Bonar is clearly a man immersed in the overall message of the Bible, and guided by the Holy Spirit in his writings.” Bonar is an excellent tour guide to help you see items of significance as you journey through the Old Testament.